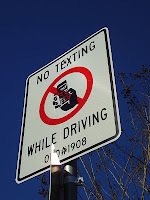 In 2009, according to US Department of Transportation, 5,747 people were killed and 448,000 people were injured in accidents where distracted driving was reported. In that same year, 20% of injury crashes involved reports of distracted driving. The reality is that you cannot drive safely if your attention is not entirely focused on the road. By doing other things you are risking your life and the lives of those around you. To help you understand what constitutes "distracted driving," we've compiled a list of some of the major causes of distracted driving. Trying to talk on your phone without a headset is not only dangerous, but it could cost you an expensive ticket. 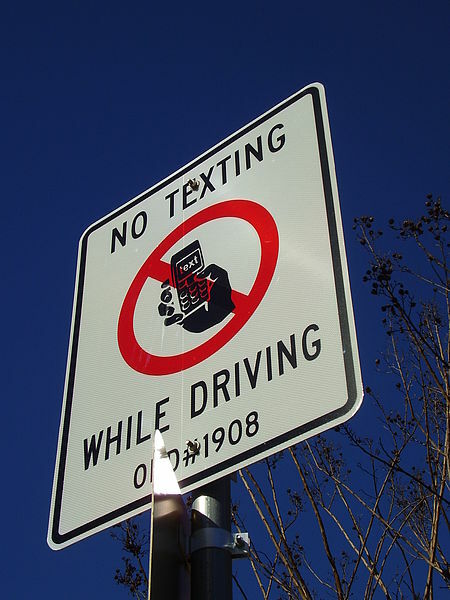 In Alberta, you could face a fine of $172 for talking or texting on your phone. If you must communicate while on the road, install a hands free device that will allow you to talk without having to divert your attention from the road. Before you leave on your commute, get an idea of the weather you'll be experiencing and adjust your climate controls accordingly. If you must change the temperature, do so at a stoplight. This goes for the radio as well. Don't focus your attention on finding the right music; set up your iPod playlist or radio station choice before you leave. Navigating while you're driving is not a safe idea. Have your intended destination programmed into your GPS ahead of time and listen to the cues; don't try to fiddle with inputting an address while driving. If you're driving with someone else, ask them to be your navigator. They can work with the maps or GPS unit while you keep your eyes on the road. If you have to finish your breakfast in the car, you should reconsider your morning routine. Finish your food before you get in the car. Your upholstery will thank you, and you'll be less likely to cause a collision. Put the coffee in the drink holder and wait till you get to work to start sipping. If you need the caffeine before you leave, drink it at home. If you have to brake hard, spilling scalding coffee on your legs is not going to be a pleasant experience. Rowdy or rambunctious passengers can often be more dangerous than anything else. Be sure to let your passengers know that that kind of behaviour will not be tolerated. They should be respectful of the fact that you're driving and do as much as they can to help you stay focused. For some, the morning routine is just so packed with things to do that they feel they need to put on their makeup in the car. If you're finding that you don't have enough time in the morning to do your personal grooming, make more time at home. It's not fair to those who share the road with you; it's not right to put other people's lives at risk because you didn't manage your time properly. Avoiding these distractions on the road will help you to be a safer driver. Most people can admit to having done a few of these in their time; we're all human. It's a matter of recognizing that they're dangerous habits and making an effort to avoid them in the future.